Support the music program by becoming a corporate or individual donor. Download more information here. ​Do you shop on Amazon? Use this link to automatically donate 0.5% of your purchase price to the band! You MUST use this link when shopping: https://smile.amazon.com/. Choose “Pleasant Grove High Band Boosters” as your organization and the music program receives 0.5% of your purchase price. The program allows businesses who utilize RID, and who reduce their shredding costs by 10%, to designate a 501 (c)(3) organization as its beneficiary. RID will give 10% of it’s revenue from the Partner Customer during the quarter just ended to the beneficiary (PG Band Boosters). RID enhances the Partnership’s value to all members through special shred events and promotions at the RID website. For a synopsis of how the program generally operates, visit the RID Website for more details. ​​We created a Wish List on Amazon for some of the items that we need in the Music Program. From everyday classroom items such as whiteboard markers and paper, to instrument accessories, to things used for special events. All donations are welcome and tax-deductible. Shopping on Amazon has the added convenience of having the items delivered directly to us! Search for our Wish List by using our email address: pghsbandboosters@gmail.com or PGHS Band Boosters. You can support the band simply by registering your Safeway, Macy's, or other credit cards on www.eScrip.com. 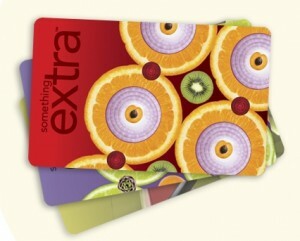 When you use these cards, a portion of your purchase will be automatically donated to the band program. Visit our eScrip page for more information. If you are a current eScrip member, remember you'll need to renew every year; so go online and renew today. Staples will give you $2 Rewards credit for each ink or toner cartridge you recycle with them, up to 10 per month. With that, we can purchase paper, ink toner, water, dry erase pens, and other office supplies needed for band activities. Go to Staples website for more details. We gladly accept any fundraising ideas and help to bring in much needed funds to support a great music program! Please contact us at pghsbandboosters@gmail.com.